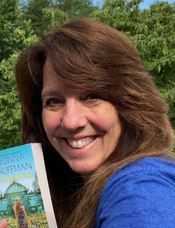 Donna Kauffman is the USA TODAY and Wall Street Journal bestselling author of over 70 novels, translated and sold in more than 26 countries around the world. Born into the maelstrom of Washington, D.C., politics, she now lives in the Blue Ridge Mountains of Virginia, where she is surrounded by a completely different kind of wildlife. In addition to being an author, she is also a DIYer, a baker, a gardener and a volunteer transporter for the Wildlife Center of Virginia and Rockfish Sanctuary.